Harry Bosch and LAPD Detective Renee Ballard come together again on the murder case that obsessed Bosch's mentor, the man who trained him---new from #1 New York Times bestselling author Michael Connelly Back when Harry Bosch was just a rookie homicide detective, he had an inspiri... read full description below. 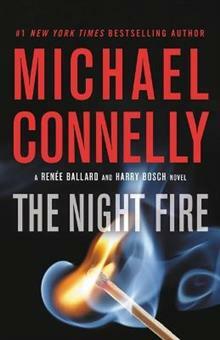 Harry Bosch and LAPD Detective Renee Ballard come together again on the murder case that obsessed Bosch's mentor, the man who trained him---new from #1 New York Times bestselling author Michael Connelly Back when Harry Bosch was just a rookie homicide detective, he had an inspiring mentor who taught him to take the work personally and light the fire of relentlessness for every case. Now that mentor, J.J. Thompson, is dead, but after his funeral his widow hands Bosch a murder book that Thompson took with him when he left the LAPD 20 years before -- the unsolved killing of a troubled young man in an alley used for drug deals. Bosch brings the murder book to Ren e Ballard and asks her to help him find what about the case lit Thompson's fire all those years ago. That will be their starting point. The bond between Bosch and Ballard tightens as they become a formidable investigation team. And they soon arrive at a worrying question: Did Thompson steal the murder book to work the case in retirement, or to make sure it never got solved? Michael Connelly is the author of thirty-two previous novels, including #1 New York Times bestsellers Dark Sacred Night and Two Kinds of Truth. His books, which include the Harry Bosch series and the Lincoln Lawyer series, have sold more than seventy-four million copies worldwide. Connelly is a former newspaper reporter who has won numerous awards for his journalism and his novels and is the executive producer of Bosch, starring Titus Welliver. He spends his time in California and Florida.